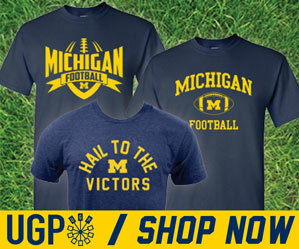 If focus and 'championship games' were the mantra of this Michigan football team through the first nine games of the season, then refocus and ACTUAL championship games are what lie between this Wolverine squad and its aspirations. The 14-13 loss in Iowa City last week was no doubt equal parts heartbreaking and head-scratching. But it ended up having zero effect on Michigan's standing with the College Football Playoff Committee, nor did it create any barriers to their ultimate goals. Win out and this team will be playing for championships. Tomorrow's game against Indiana is essentially a quarter-final game for the Big Ten championship. Michigan comes in as heavy favorites once again (24 points to be exact), but this game will be a test of the resolve of both the players and coaching staff. I think many things were reevaluated in the past week, and we'll see a number of new looks and approaches this week. I'd imagine that the vast majority of changes that we do see will be on the offensive side of the ball. Most notably (and obviously) the first start for John O'Korn at quarterback for the injured Wilton Speight. With so many new looks and options on offense, I think Saturday's game will be the most intriguing the Wolverines have played since the Wisconsin match-up. So let's break this thing down! This is not the Indiana offense that put up 41 points in a double overtime, shoot out loss to Michigan last year. For starters, they no longer have the services of Jordan Howard, who rushed for 238 yards on a solid Wolverine front seven. They've also switched gears almost entirely from a rush first offense, to a pass first offense with Junior, community college transfer, Richard Lagow at quarterback. His gunslinger approach to the position at times can pay dividends when he has time to find receivers like Mitchell Paige (49 catches for 536 yards and 2 TDs) and Nick Westbrook (44 catches for 793 yards and 5 TDs), but it can also kill drives with a 13-17 INT to TD ratio. Running back Devine Redding is an adequate Big Ten back, but Indiana's running game is nothing that should give Michigan's stout run defense any of the problems that they experienced last week. The 2015 Indiana team was one with a legitimate offensive attack and a pretty porous defense. Well, almost the exact opposite is true under first year defensive coordinator Tom Allen (previously at USF), who's certainly gotten the most out of his group. The Hoosiers have gotten some outstanding play at the linebacker position this season from Tegray Scales (94 tackles, 15 TFLs, 4 sacks and 1 INT) and Marcus Oliver (74 tackles 10.5 TFLs and 3 sacks), along with some very solid play from its secondary. The standout for me is defensive back Rashard Fant (2 INTs, 16 PBUs), but this is a defense that's tough to pass on, and should be a test for O'Korn in his first start in the Big House. 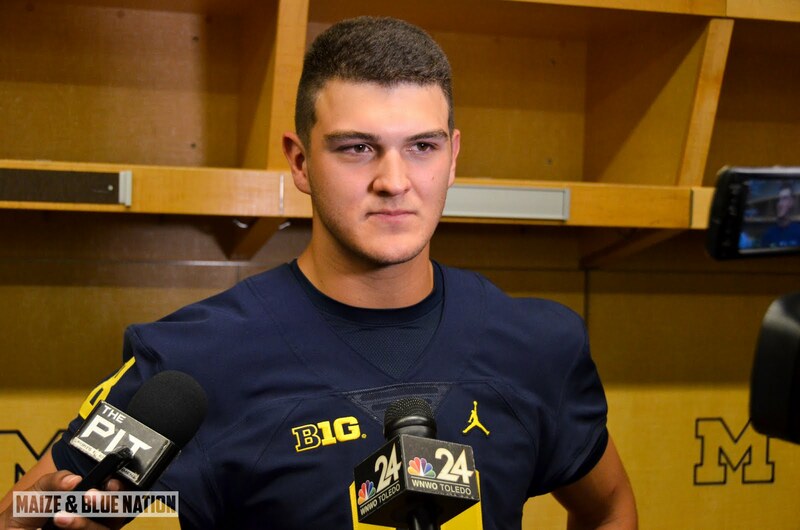 We know that Michigan's had a run first approach all season, and with O'Korn and his ability to run the ball at QB, I'd expect to see that approach ramped up even more on Saturday. I also think we'll see Jabrill Peppers in some new looks. Possibly even a bit of the option. In my opinion, it's time for Chris Evans and Karan Higdon to start getting the majority of the carries at running back. Not only has De'Veon Smith struggled to pick up yards, but with a more mobile quarterback, who doesn't spend as much time in the pocket as Speight, his backfield blocking services aren't as strongly needed. I'm excited to see what this Wolverine offense looks like with O'Korn at the helm. Not a whole lot needs to change at defense for Michigan this week. Crisp tackling and edge play were a bit of an issue again last week against Iowa, but I'm expecting them to have cleaned a lot of that up in practice this week. Indiana's rushing attack won't pose the same problems that Iowa's did, however, the UofM secondary will have a much busier day Saturday than it had last week. Something tells me they'll be up to the challenge. I'm expecting multiple interceptions and a good number of coverage sacks.